I don't know if the English title given for this book in the Wikipedia entry on Arnaldur and elsewhere on the web (except that literature.is gets it (almost) right), is the one that will be used for the eventual translation, but to me it looks suspiciously like a Google Translate blooper. Skuggasund actually means "Shadow Alley" and is the name of a street in Reykjavík, behind the National Theatre. Near the beginning of the story an Icelandic girl and her American serviceman boyfriend stumble upon a body at the back of the theatre and the man sees someone standing on the corner of the eponymous street. I will post the eventual English title as soon as I find out what it is. This is a plot-driven story for the most part. We get to know some background information about the characters, but almost all of it is pertinent to the story in some way, like the descriptions of what they look like, which are important for reader visualisation, and little details that allow us to see them as fully developed characters, but the personal lives and problems of the detectives don't intrude into the story like they sometimes do in the Erlendur books. This is a good thing, in my opinion, because I have always thought that Arnaldur wasn't very good at making his detectives interesting. 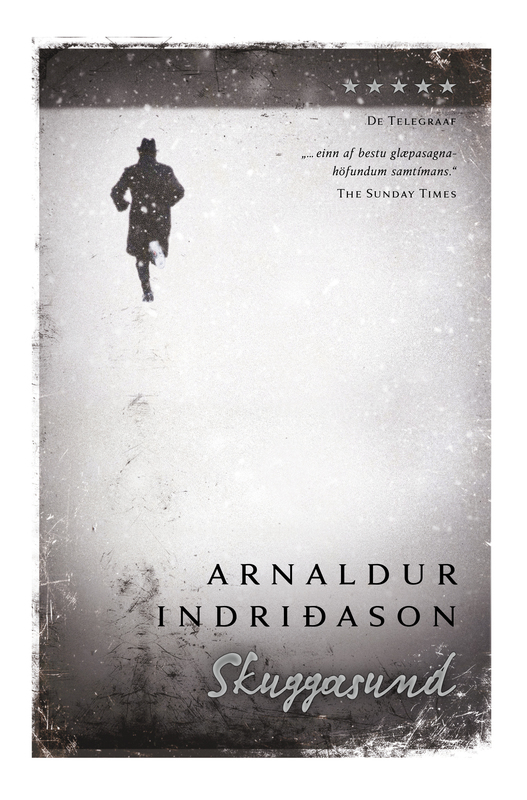 The only protagonist in any of his books (of those I've read) that has a (semi-)interesting private life is Erlendur, and that's because the others are just so normal, and normal is very hard to make interesting. The two stories unfold bit by bit, with the historical and modern detectives discovering the same information at different times and puzzling out what happened using different methods. As in all of the books by Arnaldur that I have read, the story really makes one think about justice and how criminals often manage to escape it even when they're found out, while innocents suffer and potentially useful lives are cut off, because Arnaldur's victims are rarely stereotypical "deserved to die" types. If I have a complaint about the plotting, it is that the evildoers in both cases are introduced late in the narrative and play so very little part in the actual story that the historical one isn't even a suspect until towards the end of the modern story and the modern one goes from witness to suspect with almost unseemly haste. But that's just because I enjoy watching the dance between the detective(s) and suspect(s) and seeing the guilty uncovered little by little. It was, altogether, a good, solid detective story. 3+ stars.